This is from 1994. It's a record that didn't register with me at all obviously until last year. 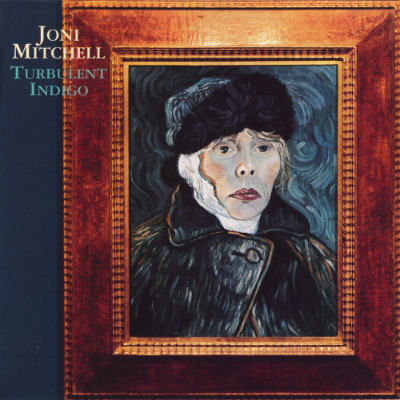 I think Joni had a rough 80s - like a lot of those guys, she took some production wrong-turns. This is a record that is more cut and dried and her singing is amazing. The sound of her voice and the words really connect. It seems to come out of the fog of these strange 80s pseudo-pop records. I think it's really good. I really like hearing really mature songwriters in top form. Listening to it I realised that this is a path that I could follow, which I always search for, because at this point in my career, in terms of pop music years, I think I'm supposed to die. So when you find a different path that you can follow, it's more exciting than the idea that you should just die. Do you feel the age thing? Yeah, but it's more because I've been trained, like everyone else, to feel like being in showbiz and singing songs in your 40s is not really a respectable thing to do.